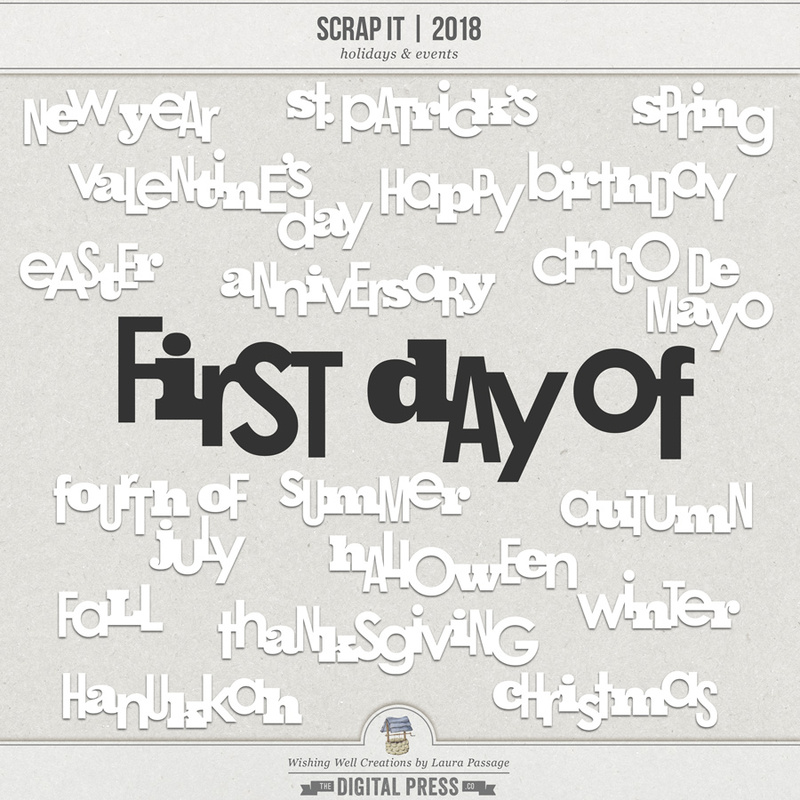 If you're participating in The Digital Press's year-long scrap project/challenge -- Scrap It | 2018 -- then you've seen the fun die cut-style words (months, years, etc.) 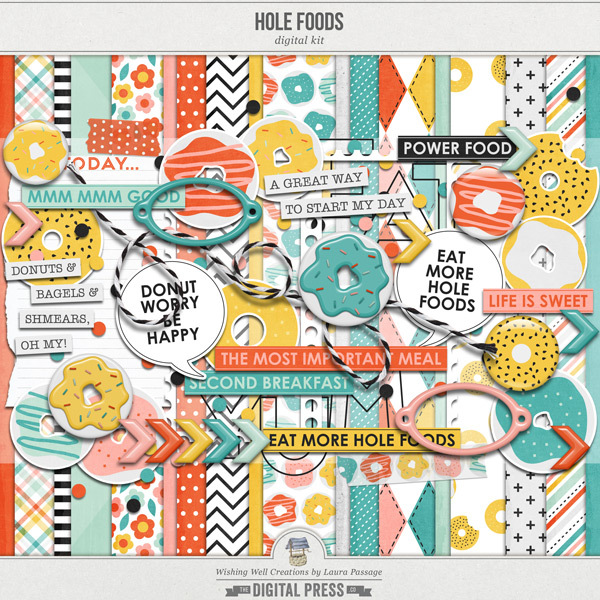 that appear on each month's set of free templates. You may have found yourself wishing that you had matching holidays (& other events) to use on your pages, however... but wish no longer! In response to requests I've received, this set is the answer! Included in this set, you'll find 20 separate .PNG files (various holidays, events, and seasons), as well as one .ABR brush file that can be used in photo editing programs such as Photoshop (PS) and Photoshop Elements (PSE), etc. Both file types (.PNG/.ABR) can be re-sized to suit your needs (the actual file size is shown in the middle of the preview on the large version of the phrase "First Day Of"). All words are provided in black, but can be easily recolored (and/or used as clipping masks to clip solid or patterned digital papers to).